The BCE 5' Folding Snooker Table is a unique design in the fact that it offers vertical storage. The leg leveller system makes certain that the pool table is stable and level at all times, another unique fixture in a folding pool table design. 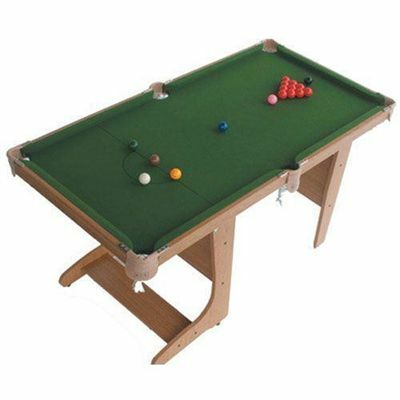 FREE DELIVERY within Mainland U.K.
for submitting product review about BCE 5' Folding Snooker Table (ST20-5D).